Members of the Inner Wheel Club of Chesterfield, together with family and friends have knitted approximately 350 jumpers, which are now bound for Gambia, Kenya and Uganda. The idea was brought to the club by Past President Joan Wadd who asked members to take a pattern and knit a jumper for babies in Africa who currently leave birthing facilites wrapped in paper. Born into extreme poverty, babies are nicknamed 'Fish and Chip' babies after being sent home wrapped in newspaper and Joan explained how the newborns could be given a better start in life by helping them keep warm. She explained that, In Africa, the nights can be very cold and the babies have nothing to keep them warm. 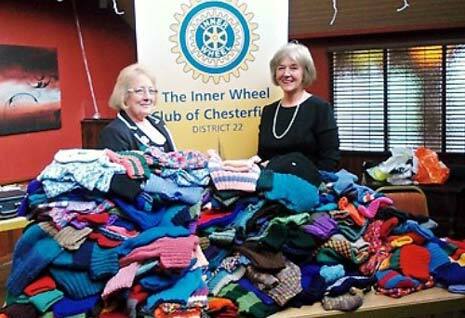 The idea was enthusiastically taken on board by current President Adrienne Handley and Inner Wheel members, their families and friends, which resulted in an amazing 350 jumpers being despatched to Chester where Volunteer drivers will collect the boxes and take them out to Africa. 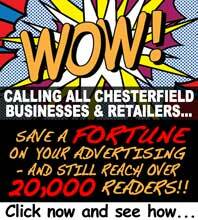 Members of Inner Wheel work hard to help those less fortunate both at home and Interationally and they were on the Monday Bank Holiday Market in Chesterfield where a stall was raising funds for Ashgate Hospice.